To meet the needs of Auckland’s growing population, underutilized crown land situated on Great North Road is in the process of being made available for residential development. 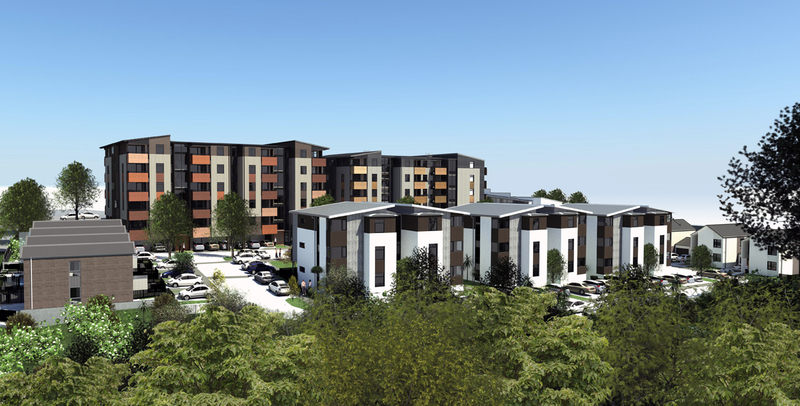 To unlock the potential of this block of land adjoining the Oakley Creek reserve, Ashton Mitchell worked in close collaboration with Housing New Zealand’s urban designers to develop a master-plan and individual building designs for 120 new dwellings. 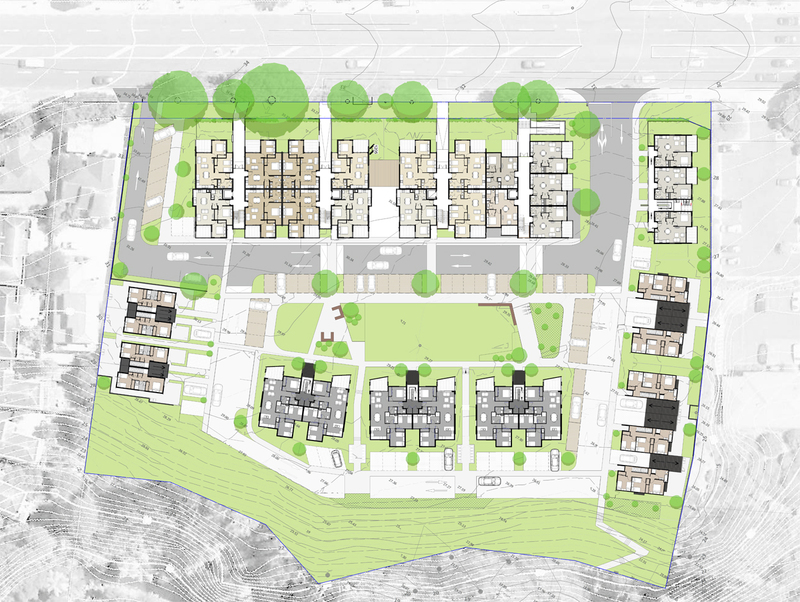 The Great North Road development will comprise of a diverse range of housing typologies, from three-bedroom terraced housing through to one-bedroom apartments. All dwellings are planned to optimize the site as they are centered around safe & secure common green space with community gardens and play areas for children. Crime Prevention through Environmental Design has been a fundamental design consideration for this project, with all common areas overlooked by living spaces, and cul-de-sacs avoided in favour of loop roads to provide multiple means of access.